On April 25, 2007 retired USAF Captain John Spooner and I discussed my report on false-flag terror attacks. On April 25, 2007 I was the guest on Capt. 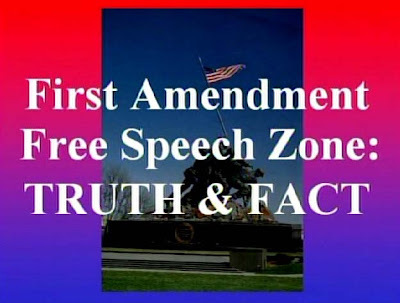 John Spooner's 'First Amendment Free Speech Zone' television talk show. We talked about false-flag attacks in the United States, and my 10,000 word report ANATOMY OF A FALSE-FLAG TERROR ATTACK. I explained that while I was writing the report, I examined twelve historical false-flag attacks, to see what they all had in common. I further came up with seventeen points of similarity, which all false-flag attacks must have, in order for them to be considered as such. Wednesday, April 25, 2007 | 6:00pm-7:00pm PDT | 60 mins. In this second interview on the First Amendment Free-Speech Zone, I will talk about my 10,000 word report ANATOMY OF A FALSE FLAG TERROR ATTACK. We will discuss all of the important identifiers of a false-flag attack, and WHY one must see the news within the first hour after the attacks. We will also discuss the ways in which the false-flag attack scenario further the globalist agenda. As soon as I get the DVD of the broadcast, I will post this interview. Last evening, I appeared on Adam Gorightly's Untamed Dimensions podcast, where we discussed many interesting things, which will be described below. Last night, I appeared on UNTAMED DIMENSIONS, the podcast of Internet researcher and author Adam Gorightly. This one-hour interview focused on a number of subjects, including a discussion of the film EYES WIDE SHUT. Adam and I began with a discussion of what exactly I mean by the term research-journalism, as well as a discussion of how long and what subject got me started as a researcher. We spoke about Hillary Clinton and her chances of becoming the next President. When Adam asked me what I felt the chances were of her becoming the next President, I replied by saying simply "One-Hundred percent!" Adam agreed with this, and admitted that he too sees her as winning the next election, however THAT happens to transpire. I also mentioned that here in her Senatorial district of New York State, she is almost universally hated, and she is seen by many as highly unlikable, and extremely divisive, and in five years of searching, I still to this day, have not found anyone who would admit to me that they would vote for this woman. I pointed out my 10,000 word report entitled HILLARY CLINTON'S HIDDEN AGENDA OF MANIPULATION, as a description of HOW she would manipulate the situation to assure her victory. Adam also asked me if I had any other INSIDE INFORMATION about anyone else who would become President, and I replied by explaining that there is a current GROOMING PROCESS going on with George P. Bush, the son of Jeb Bush, the former Governor of Florida. George P. Bush has been selected by the Elite to become the first-ever Hispanic President of the United States. Then, the discussion turned to my family members who are members of the Illuminati. The reader will have to listen to this interview for more about this true story. Just before we got to EYES WIDE SHUT, we dissected the VIRGINIA TECH shootings, and the curious coincidences related to the numerology associated with the horrible event, which looks like another of those mind-control assassinations. Finally, we spoke about EYES WIDE SHUT during the second half-hour of the interview. My 9,500 word report on the film has been widely read, and passed around the research community, where I have gotten great reviews and comments on the work, and with my discussion of the hidden occult symbolism associated with the film. "You've illuminated me in a positive fashion." In closing, I would like to thank Adam Gorightly for having me on his show, and I hope that we can do it again sometime in the future! FYI. Since we did the show it has been downloaded almost 700 times, which is a record over this short of a period for my show. So, your show by far and away has been the most popular episode of Untamed Dimensions. Thanks! This is excellent news, as it shows that I am breaking through, and people are becoming very interested in what I have to say. This helps me to keep moving forward, and is some very encouraging news, indeed! 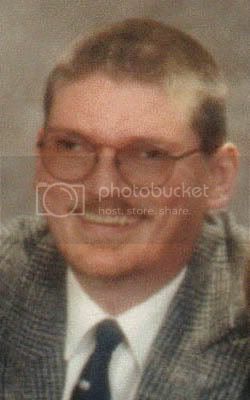 On April 23, 2007, I made my third appearance on Vyzygoth's 'From The Grassy Knoll' talk-radio show, where I have been appearing on the third Monday of every month. 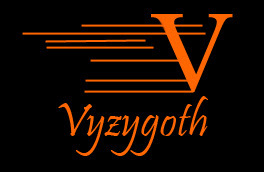 Earlier today, I had appeared for the third time on the legenday Vyzygoth radio show entitled 'From The Grassy Knoll.' We had intended on talking about my report on false-flag terror attacks, but because of the recent massacre on the campus of Virginia Tech in Blacksburg, Virginia -- we ended up spending a half-hour dissecting the 33 deaths (including the killer himself). I also pointed out the many pecullarities in the horrible event, and how each one of them pointed to mind-control involvement in the murders. In the second half-hour, Vyzygoth and I talked about my special report ANATOMY OF A FALSE-FLAG TERROR ATTACK. I went through an explanation of how I researched this report, and how I was able to find seventeen points of commonality among the twelve events I examined. I also spoke briefly about the predictive television programming phenomena, and how certain shows are showing the detonation of nuclear suitcase nukes on U.S. soil. Monday; April 23, 2007 | 11:00am-12:00pm ET | 60 mins. Care to guess WHO that ROGUE NATION might be? Kentroversy on 'Esoteric Science Roundtable' TV Show! 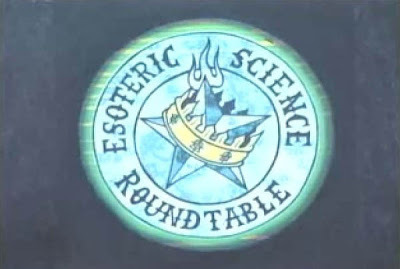 On April 5, 2007, I was the guest on Kory Kortis' television show ESOTERIC SCIENCE ROUNDTABLE. Kory and I discussed the Occult and Qabbalistic symbolism in Rock Music. On Thursday, April 5, 2007 -- host Kory Kortis and I discussed my report OCCULT AND QABALISTIC SYMBOLISM IN ROCK MUSIC, which was published on November 9, 2006. We talked about many bands and artists in the field of rock music that inject occultism into their music, song lyrics, album cover designs, and on-stage customing and presentation. Thursday, April 5, 2007 | 8:00pm-9:00pm EDT | 60 mins. Among the subjects discussed were Led Zeppelin, Grateful Dead, The BEATLES, John Lennon 'The Magickal BEATLE,' KISS, Ozzy Osbourne and Black Sabbath, Blue Oyster Cult, and Todd Rundgren's album Initiation. Kory and I also discussed the 60's and 70's bands such as The 13th Floor Elevators, Lucifer's Friend, and White Witch -- as well as newer artists such as The Golden Dawn (band) and Kate Bush. "Very interesting, to say the least!" "I guess the bottom line here is this. All intelligent people are looking for answers beyond what the establishment puts before us as explanations for why things are the way they are. I believe that some of these highly-intelligent musicians -- whether they are jazz people, or rock people, or blues or whatever -- are looking for these answers that are not within these establishment systems." NOTE: This show will be made available soon, so please remain patient, as I complete the uploading of this entire archive. On April 1, 2007, I returned to RED ICE RADIO, where Henrik and I talked about Hillary Clinton's upcoming two-term Presidency. In this return to Red Ice Creations Radio, I will be discussing Hillary Clinton's two-term Presidency, which is forthcoming. Henrik and I will also be talking about how Hillary is a Fabian Socialist, who has named both George Orwell  and Aldous Huxley [Brave New World] as the two authors who most influenced her own political thinking. Sunday, April 1, 2007 | 11:00am-12:00pm EDT | 60 mins. In the second hour SUBSCRIBER interview, Henrik and I will be talking about my extensive report ANATOMY OF A FALSE-FLAG TERROR ATTACK. This is a very important subject, as it is highly likely that Freeman Fly is correct when he pointed out that October 13, 2007 is the 700th anniversary of the Knight's Templar purge in France. Given the Elite's penchant for symbolism and meaning behind their event dates, this is a very likely date on which a false-flag event is likely to occur. In this interview, I not only discuss WHY Hillary will become a two-term President, and I also describe the grooming process that is now underway for George P. Bush, who is destined to become the first-ever Hispanic President of the USA.